Sprint recently started offering month to month LTE pricing for its non-contract customers toting a tablet. One new tablet on the way is the Samsung Galaxy Tab 2 10.1, which will be available for the mobile operator's customers on November 11th. The tablet offers a 10.1 inch Super LCD display with resolution of 1280 x 800 which works out to a pixel density of 149ppi. The dual-core 1.5GHz Qualcomm Snapdragon S4 MSM8960 is driving the tablet with the Adreno 225 GPU handling graphics. 1GB of RAM is on board and there is 8GB of native storage that can be expanded with the use of microSD cards. A 3MP camera is on back with a VGA shooter up front. With Android 4.0 installed, the tablet offers LTE connectivity over Sprint's nascent 4G network. The tablet will be available for $549.99. Sprint says its new non-contract data pricing for tablets offers 20% more data for the same price than the competition does. $14.99 buys you 300MB of data compared to 250MB at AT&T. $34.99 a month buys you 3GB at Sprint (at $30, 3GB is slightly cheaper at AT&T while it costs $40 at Verizon) Sprint charges $49.99 for 6GB of data as opposed to 5GB that AT&T offers at the same price which is the 20% difference touted by Sprint. Verizon just about matches Sprint for 6GB. Sprint and Verizon are 1 cent apart on 12GB of tablet-bound bata with the former's price at $79.99 a month. Current Sprint customers with a smartphone contract can add a tablet for $10 per month for 100MB, or $15 a month for 1GB of data. For a limited time, all activation fees are being waived by Sprint for 3G/4G tablets. OVERLAND PARK, Kan. (BUSINESS WIRE), November 01, 2012 – Sprint (NYSE:S), the only national carrier with Truly Unlimited? 4G LTE data for smartphones while on the Sprint network, will offer its first 4G LTE tablet, Samsung Galaxy Tab® 2 10.1, beginning Sunday, Nov. 11, for $549.99 (excluding taxes and surcharges). It will be available in Sprint retail stores, online at www.sprint.com or by calling 1-800-SPRINT1. Manufactured by Samsung Telecommunications America (Samsung Mobile)5, Galaxy Tab 2 10.1 boasts access to the Sprint 4G LTE network (available in select markets), Android™ 4.0, Ice Cream Sandwich, a 1.5GHz dual-core processor and a beautiful 10.1-inch touchscreen display. Galaxy Tab 2 10.1 also features two cameras, a rear-facing 3-megapixel camera and camcorder for capturing life’s important moments as they happen and a front-facing VGA camera for Face Unlock and video chat. With the built-in IR Blaster, Galaxy Tab 2 10.1 can be used as a universal smart remote that helps users easily find their favorite TV shows and control their TV, set top box and other home theater equipment. It also comes with AllShare® to easily share photo albums, videos and other user-generated content between other DLNA (Digital Living Network Alliance) certified® devices. On-device encryption and VPN access also help ensure the tablet is secure for business use. The 7,000mAh battery allows businesses to keep their workers connected all day long. The 3G/4G LTE mobile hotspot capability can be used to share a web connection with up to 10 Wi-Fi enabled devices simultaneously so teams can work away from the office. Sprint introduced its all-new 4G LTE network in July 2012 and currently offers service in 32 cities. Continuing its nationwide rollout of 4G LTE, Sprint recently announced plans to deliver 4G LTE to an additional 115 cities in the coming months. For the most up-to-date details on Sprint’s 4G LTE portfolio and rollout, visit www.sprint.com/4GLTE. Sprint Nextel offers a comprehensive range of wireless and wireline communications services bringing the freedom of mobility to consumers, businesses and government users. Sprint Nextel served nearly 56 million customers at the end of the third quarter of 2012 and is widely recognized for developing, engineering and deploying innovative technologies, including the first wireless 4G service from a national carrier in the United States; offering industry-leading mobile data services, leading prepaid brands including Virgin Mobile USA, Boost Mobile, and Assurance Wireless; instant national and international push-to-talk capabilities; and a global Tier 1 Internet backbone. The American Customer Satisfaction Index rated Sprint No. 1 among all national carriers in customer satisfaction and most improved, across all 47 industries, during the last four years. Newsweek ranked Sprint No. 3 in its 2012 Green Rankings, listing it as one of the nation’s greenest companies, the highest of any telecommunications company. 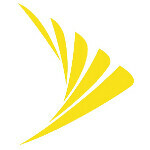 You can learn more and visit Sprint atwww.sprint.com or www.facebook.com/sprint and www.twitter.com/sprint. Samsung is a trademark of Samsung Electronics Co., Ltd. Other company names, product names and marks mentioned herein are the property of their respective owners and may be trademarks or registered trademarks. Battery power consumption depends on factors such as network configuration, signal strength, operating temperature, features selected, vibrate mode, backlight settings, browser use, frequency of calls and voice, data and other application usage patterns. 120 percent more data claim applies to Sprint plans priced at $14.99, $49.99. 2Qualifying smartphone plans include: Simply Everything, Simply Everything Share, Everything Business, Everything Data, Everything Data Share, Business Advantage Messaging & Data, Business Share Plus with Pro Pack Plus. 3The above numbers are estimates and data transfer amounts may vary. Roaming limits apply to data plans; see the individual plan for details and restrictions. Our math works like this: 1024 kb=1MB. 1024 MB=1 GB. We used these estimates to do our calculations on each type of data transfer: email (no attachment): 20KB/ea. ; picture: 300KB/ea. ; music streaming: 1MB/min; video streaming: 250MB/hr; web surfing: 500KB/page. 420 percent more data claim applies to Sprint plans priced at $49.99, $79.99. 5Samsung Mobile is the No. 1 mobile phone provider in the United States based upon reported shipment data, according to Strategy Analytics, North America Handset Vendor Marketshare, Q2 2012. Plans also include off-network data allowance of 25MB, 100MB or 300MB depending on selection. For National Offers: Additional on-network data usage is $0.05/MB and additional off-network usage above allowance is $0.25/MB. Samsung and Galaxy Tab are trademarks of Samsung Electronics Co., Ltd.
Good, I guess if you can find reliable lte coverage from sprint. Waiting on the Nexus 10.